Thanks to the generous support of our donors we have surpassed our goal! We are thrilled to announce that over $12,000 dollars has been raised for acquisitions. This year marks our eleventh acquisitions fundraiser (formerly known as Adopt-a-Book). 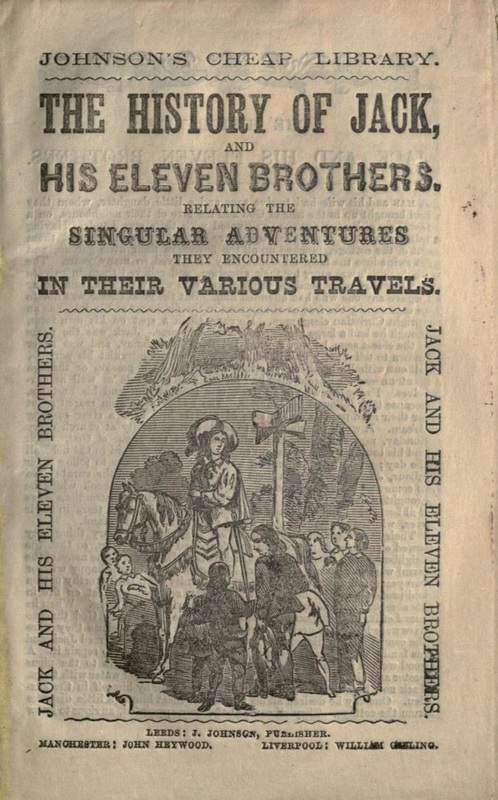 Eleven is a lucky number for some of us at the American Antiquarian Society — including our newly appointed eleventh head librarian — and we hope that the following offerings will inspire you to add to our good fortune. Due to the construction project on Antiquarian Hall, this year’s acquisitions fundraiser is online only. It is not our traditional Adopt-A-Book with donations that will sponsor a specific item, but rather a general call for assistance with acquisitions across all of our collecting areas. The items listed below are representative of our holdings in a wide variety of formats and subject matters. You can help us by clicking on any link to donate the amount of your choice toward a future purchase when funds are running short in the eleventh hour. Our goal? Eleven thousand dollars, of course! All donations will be acknowledged on our website and in our annual report. Over the summer we will post examples of the purchases funded by this campaign on this page. Should you wish to make a special gift for a specific purpose or in honor of a birthday, anniversary or event please use our online form or mail a check to the American Antiquarian Society, 185 Salisbury Street, Worcester, MA 01609-1634. Join us in 2019 when we hope to have both an online and in-person event in our new multipurpose room. Your donation toward our children’s literature collection will help us acquire more adventure stories, primers, ABCs, and other publications aimed at a young audience. 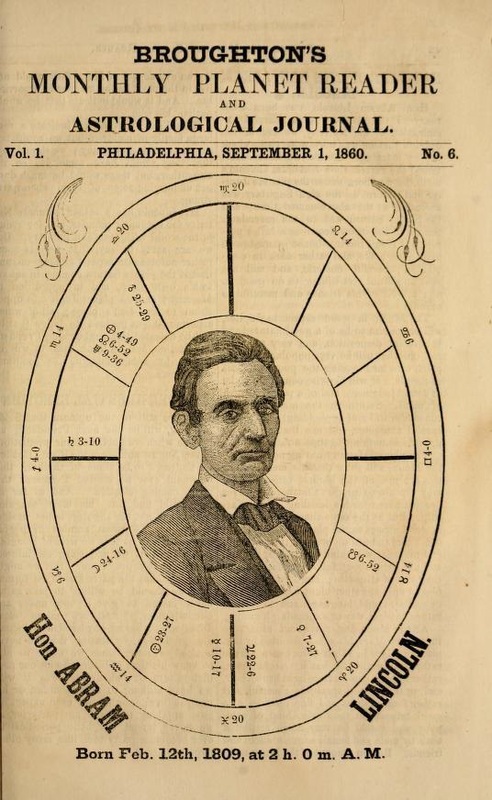 Your donation will help us collect newspapers and periodicals of all kinds, including Broughton’s Monthly Planet Reader and Astrological Journal, featuring this profile of famous Aquarian Abraham Lincoln. 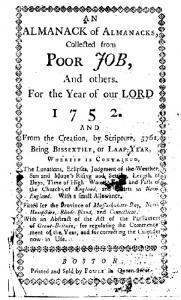 When Britain switched from the Julian to the Gregorian calendar, it eliminated 11 days from September of 1752. This almanac provides an abstract of the Parliamentary act instituting the change. Your donation will help us acquire additional calendars, almanacs, and other material about time-keeping. 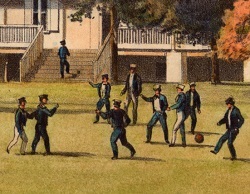 Football, field hockey, soccer, and cricket all have eleven players on a team. Your donation with help us add to our collections related to sports and leisure. 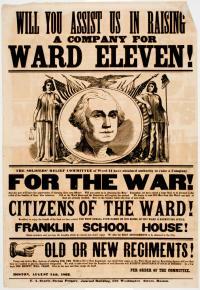 This print, lithographed by W.H. 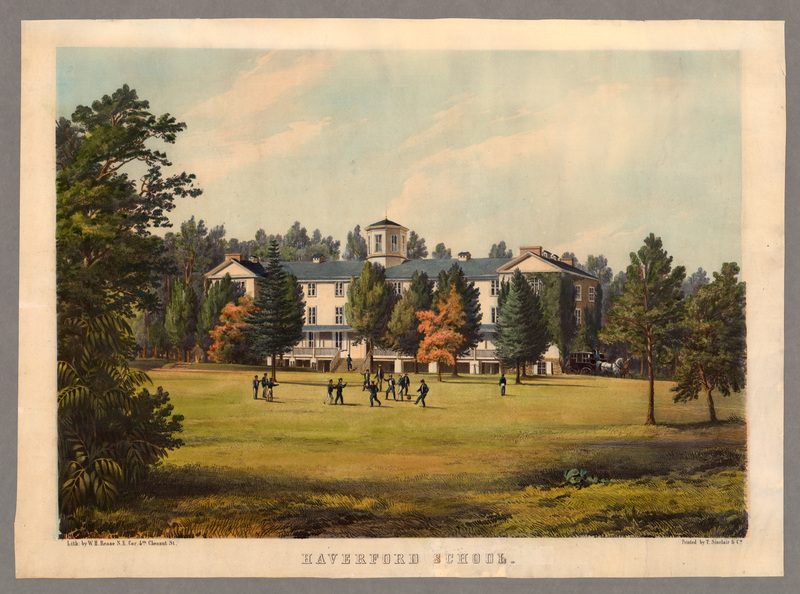 Rease sometime between 1857 and 1860, depicts a game of football outside Founders Hall at what is now Haverford College. Many of us at AAS are too impatient to wait for “Elevenses” and take our tea breaks at 10:30. 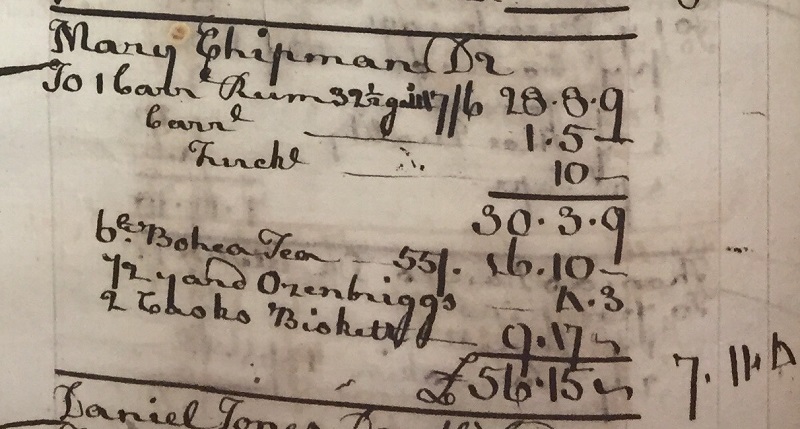 William Blair Townsend (1723-1778), a prominent Boston merchant, recorded his sale of tea to a Mary Chipman in this account book from 1758. 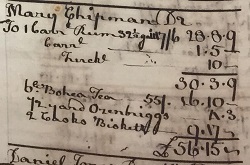 Account books like the one pictured here, along with other manuscripts such as diaries and letters, help us to understand what early Americans ate, bought, and how they lived. 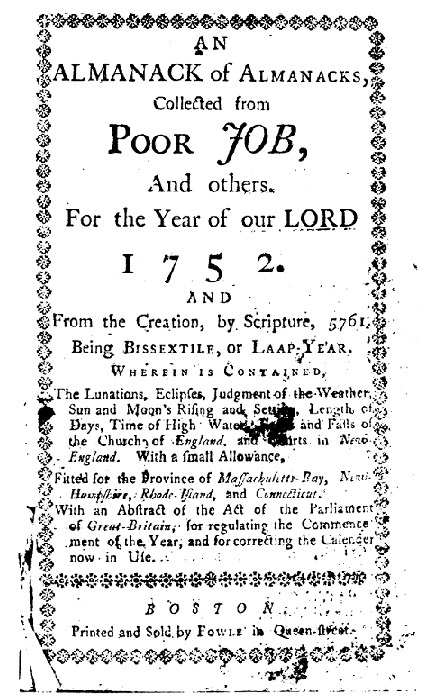 Your donation toward future purchases of early manuscripts will illuminate the daily lives of early New Englanders. The traditional gift for the eleventh wedding anniversary is steel. 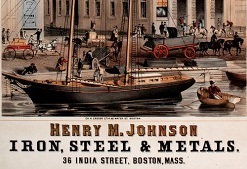 This colorful advertisement for Henry M. Johnson's iron, steel & metals company is part of our Graphic Arts Collection, which contains prints, photographs, maps, sheet music, broadsides, and ephemera such as Valentines, watch papers, and menus. 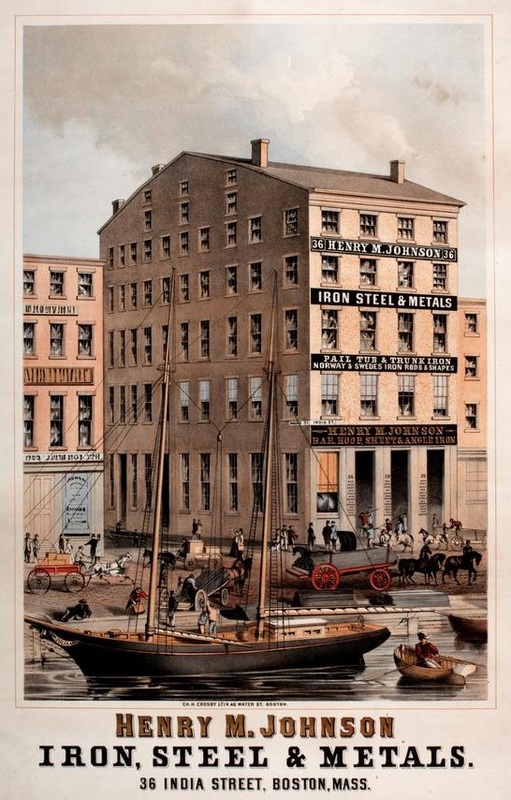 Your donation will help us acquire material about American trades, labor, products, and pastimes represented in graphic printed material. 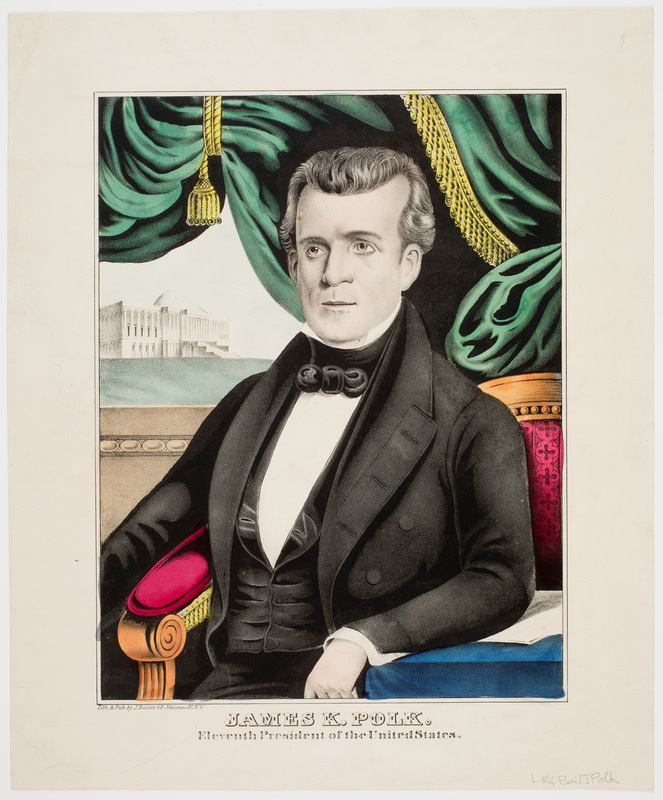 James K. Polk was inaugurated as the eleventh President of the United States on March 4, 1845. 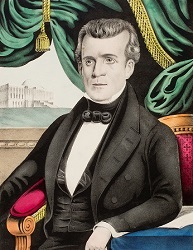 During his tenure, the United States expanded its territory to include California, Texas, Nevada, Utah, and parts of Arizona, New Mexico, Colorado, and Wyoming. 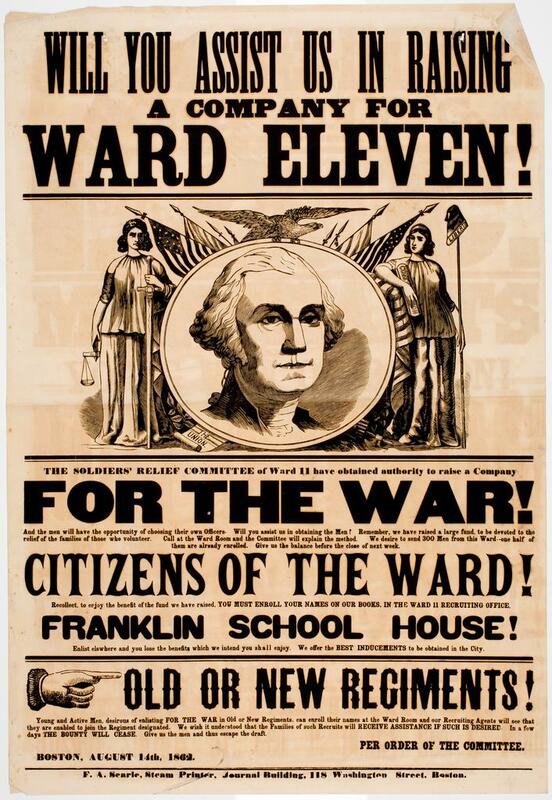 Your donation will help us acquire additional material about American presidents, the Mexican-American War era, western states, and the expansion of the republic. “Eleven Millions of Dollars,” as requested in this 1812 letter from the Secretary of the Treasury, might be too much to hope for, but we appreciate all contributions toward adding new material to the Society’s collections. Eleven is the atomic number for sodium. 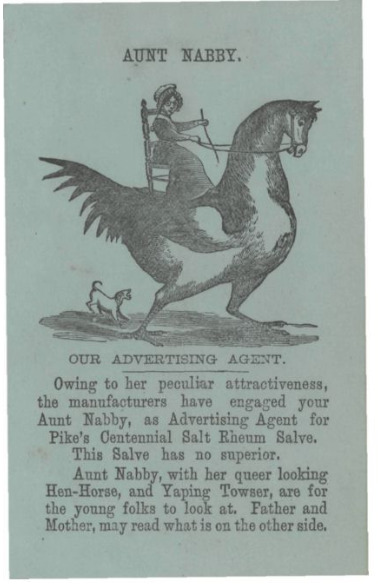 Your donation helps us purchase advertising ephemera for questionable cures and remedies — such as this pamphlet for Pike’s Centennial Salt Rheum Salve — as well as scientific tracts on medicine, elements, and chemistry. 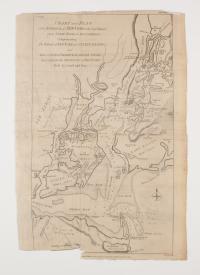 We ♥ New York, the eleventh state to ratify the Constitution. 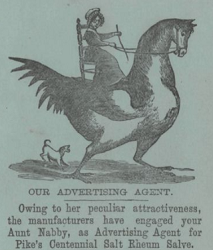 In the past 15 years, our newspaper curator has added to the library almost 60,000 issues and 1,248 titles of newspapers from 160 New York towns such as Albany, Cooperstown, Poughkeepsie, Skaneateles, and Utica. 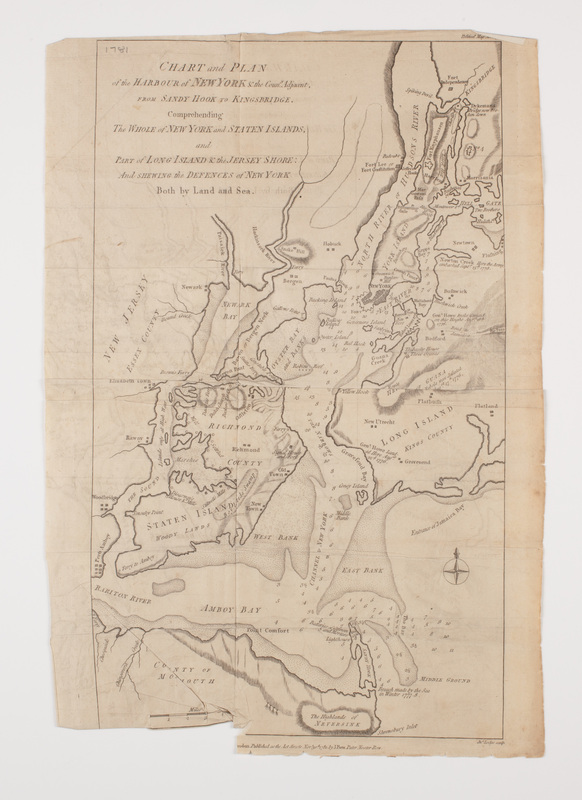 Your donation will help us acquire additional material about the Empire State – and the other 49, too! 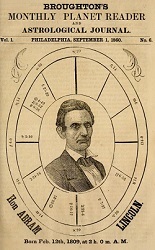 WILL YOU ASSIST US IN RAISING funds to acquire additional Civil War-era materials? 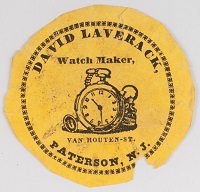 This David Laverack watch paper is one of more than 400 American watch papers in the collection. Joan Moynagh in memory of my mother and her eleven children!